This exceptionally powerful and versatile and portable air conditioner is very much the flagship of our range. It is rated at 14,000Btu (4.1Kw) and also features a 2.4Kw heater. 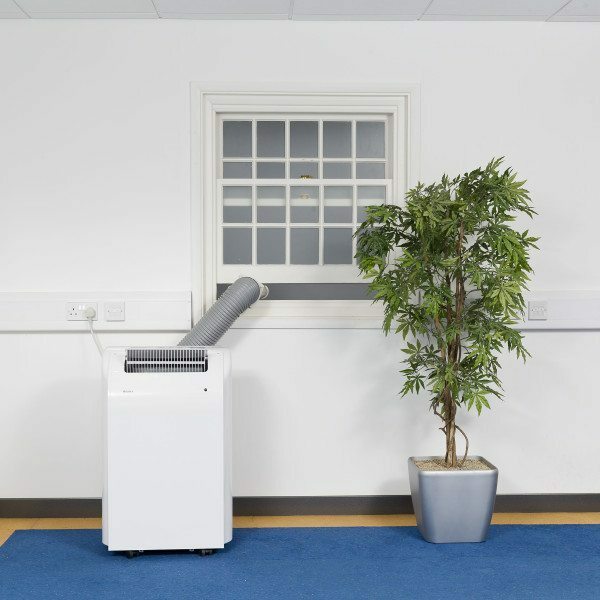 The Airconco 4.1 is perfect for room sizes up to 350ft² (33m²). The unit is ideal for offices, shops and is available for immediate hire. The Airconco 4.1 has an electronic timer so you can schedule the unit to turn on/off when you need it too. It also has an effective heating function so you can use it all year round. The unit comes in three colours (black, white and silver) and to ensure the units are delivered quickly we cannot guarantee as to which colour we will supply. When sending multiple units we do our best to ensure that we colour match them.